Chinese shipping giant Cosco on Friday said it has ambitious plans for the Greek port of Piraeus, including boosting already-bustling container and car piers and a five-star hotel expansion. The Chinese company bought the port, one of Europe's busiest, a decade ago, just before Greece plunged into a debt crisis that is still weighing on the country's finances. "We do our best to improve the infrastructure to give a good image of our port," Piraeus port authority CEO Captain Fu Chengqiu told reporters. "Piraeus gives the...fastest possible connection" between the Far East and Europe, added deputy CEO Angelos Karakostas. Cosco has already spent close to a billion euros ($1.15 billion) on Piraeus over the past decade, officials said, and plans to add another 298 million euros over the next five years. To do that, however, they need the Greek government to approve a master plan that should have been finalised in June. The company now hopes for a breakthrough in early November. Karakostas said PPA also wants to remodel three derelict buildings as five-star hotels, and build a fourth from scratch. "We have seen (hotel operators and investors) and there is great interest," he said. Cosco has already spent some 580 million euros to acquire, modernise and expand the port's container terminals, which in 2017 handled over four million TEU, or 20-foot equivalent containers. "Last year we were in third position in the Mediterranean following Valencia and Algeciras. This year, based on the current trend, we consider we'll be either second or first," Karakostas said. Meanwhile, the port's car pier took in 430,000 cars in 2017, a figure expected to rise to 460,000 in 2018. An ongoing upgrade to Greece's rail network, parts of which are still single-track and not fully electrified, will further help goods traffic. Cosco in 2008 acquired the port's two main container terminals for 35 years. In 2016 it also took over the Piraeus port authority -- and the third remaining container terminal -- until 2052. 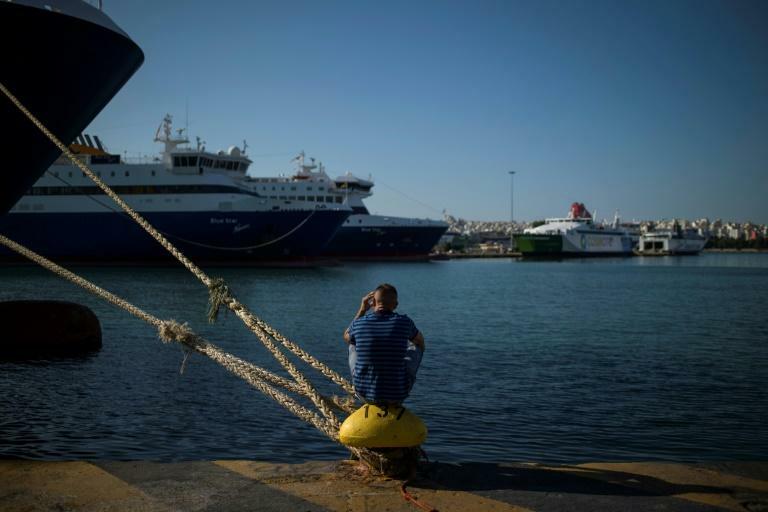 The port also has 11 cruise berths -- already among the most expansive in the Mediterranean -- and plans to add two more for larger new generation ships in a bid to make Piraeus a cruise home port. Over 16 million people took passenger ferries from Piraeus to the picturesque Greek islands last year. Local authorities had in the past expressed misgivings about an all-out sale of the port, and local unionists had protested about low wages and working conditions on the Cosco-run docks. Karakostas on Friday said the PPA had signed a labour agreement last year with the largest local union, and was currently negotiating contracts with two more unions.